A big thank you to everyone who submitted a question! 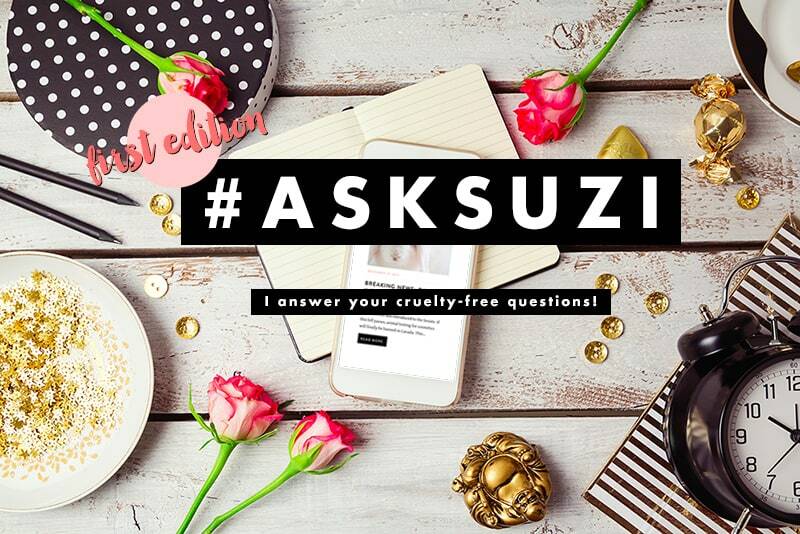 This is the first edition of my Ask Suzi series, where I answer your cruelty-free-related questions right here on the blog. The idea for this series came to me from answering all the questions I get from readers via e-mail. It was getting crazy time-consuming. So I figured, why not answer these questions on the blog, so that we can ALL benefit from them? Maybe you’ll get something out of it too! Let’s start this off with 6 of the best questions I’ve gotten. Hey! 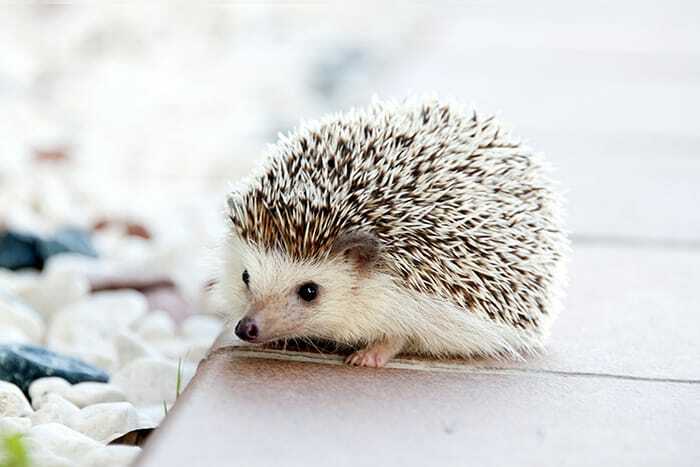 I have been looking for a facial brush, but I can’t seem to find a cruelty-free brand. I’m a bit obsessive about my skin and I love the deep clean feeling I get with a spinning brush, but I am open to trying new products. Do you have any suggestions? Check out the Soniclear by Michael Todd! It’s very similar to the Clarisonic, but the brand is cruelty-free. There’s also the Foreo Luna, which is more gentle but gives you the same clean feeling. Note that Foreo recently started selling in Chinese Sephora stores. As far as my information goes, they only sell their tools in China, which means that no animal testing is involved. 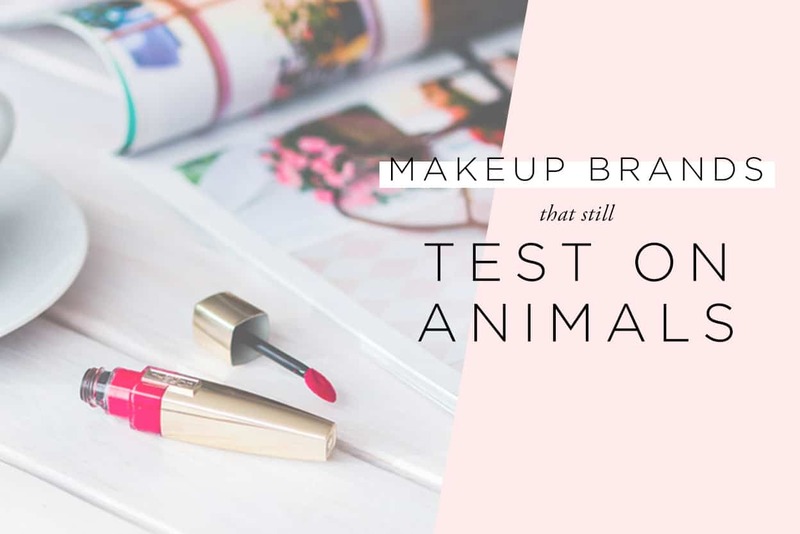 I have a friend who has recently started to stop using makeup brands that test on animals. There is a specific item (L’Oreal foundation) that she really wanted to try. 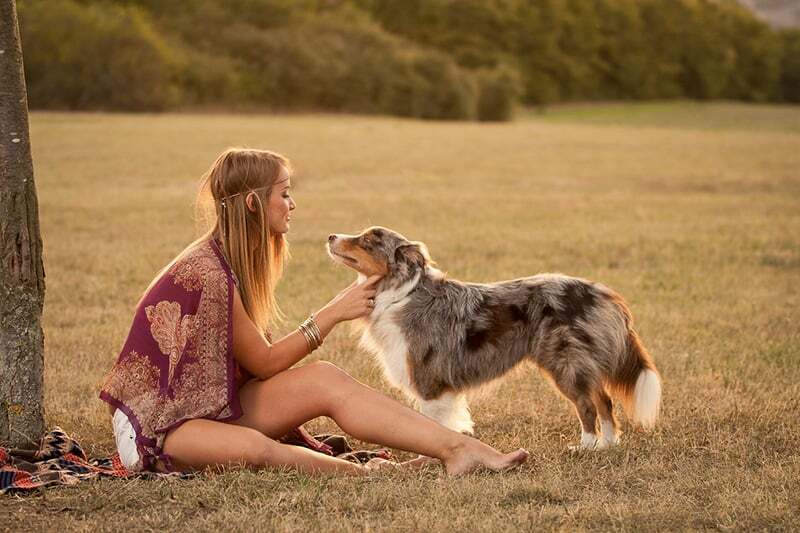 I told her that the brand tests on animals, in an attempt to steer her away from purchasing the product. She has told me that it doesn’t matter because she is only one person, and it would take hundreds of thousands to make an effective change. She cares about the animals, but she is still going to buy it anyways. What are your thoughts? Anything I could say to sway her opinion? Thanks! Unfortunately, many people share your friend’s belief that one person can’t have any impact. Hundreads of thousands of people, in fact! Do you get where I’m going with this? It’s that very belief that’s holding things back, because if every person that shares it would stop supporting animal testing, I can guarantee you that more and more brands would become cruelty-free. Imagine what would happen if everyone shared your friend’s opinion, and for example, started littering. The streets would be filled with trash! Wouldn’t you say that every single piece of trash is contributing to the problem? If you decide that it’s okay for you to litter, you have to be okay with every other person littering! We’re all a part of the solution, each and every one of us. The faster your friend and the hundreads of thousands of people that share her belief realize it, the sooner we’ll see more progress. Keep leading by example, always avoiding being preachy, and she might come around! Two words: online shopping! I live in Canada too, and it’s totally doable. I recently started using iHerb, which is amazing for finding inexpensive cruelty-free skincare. If you prefer shopping IRL, check out your local Winners. Every time I go to Winners, I see cruelty-free skincare brands like Andalou Naturals, Nature’s Gate, Alba Botanica and Sibu, at discounted prices. There’s also the brand “Yes To” at Pharmaprix. Good luck! The only product that keeps me from itchy craziness during the winter is Avon’s gelled body oil. I was told they didn’t test on animals but that appears to be untrue. Do you know any company that produces a similar product but is also cruelty free? Definitely look into Lush’s Dream Cream! It’s great for sensitive, dry, or itchy skin, and also works wonders for skin conditions like eczema. Just ask for a sample next time you visit a Lush store to see if it’ll work for you. If this is true what they write, shouldn’t this information be updated on your website? If they still do animal testing, I would definitely like to know. Thanks! The question is answered in the excerpt you pasted! L’Oreal still tests on animals where required by law, as well as for some new ingredients. I wrote an in-depth post about the topic here. Hi! I’m pretty new to this website (just found it today) and I noticed that Kiehls is on your list of companies that do test on animals. However, they have an anti-cruelty statement on their website. I just wanted to know if you were aware of that and if you have reason to say otherwise. Thanks! Kiehls unfortunately does test on animals where required by law. Their products are sold in mainland China, where animal testing is mandatory. This is why they’re not an entirely cruelty-free company. Kiehls is also owned by L’Oreal, a company that tests on animals. Thanks again for submitting your questions! If you’ve submitted a great question and I haven’t answered it in this post, don’t fret! I might still include it as part of my next one. If you have a question for me, feel free to ask me using this form! Oh neat, what a great series, I’ll be keeping an eye on it. Suzi, I just wanted to say that: YOU ROCK!! ? thank you for all the hard work you do in maintaining an informative blog in support of our furry friends. And thank you for this new segment: yet another reason why you’re so amazing! Thank you!! Lexi, thank so much for your kind words and support!! En réponse à la question #3, tu as dit qu’on pouvait trouver Yes To au Pharmaprix. Par contre est-ce que tu as réussi à trouver chacune des catégories (coconut, grapefruit, blueberry, etc) ou il y avait seulement carottes et concombres de vendu au Canada? Je suis en Ontario et je PENSE qu’on trouve seulement carottes et concombres ici malheureusement! Je suis allée dans un pharmaprix du Québec et ils avaient toutes les catégories Yaaayyy! 😀 J’ai trop hâte d’essayer ces profuits ils ont de très bon reviews.